October saw the launch of BeauBronz’s new 3D contouring technique and what better way to kick off than with a new training session? 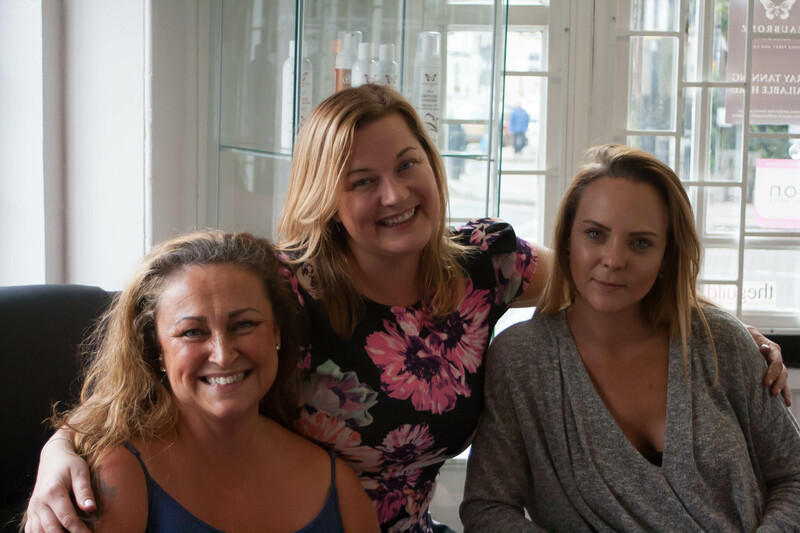 Last weekend was the first of October’s training workshops, giving BeauBronz CEO Abi Oleck the opportunity to share her new highly sought after technique and train some new BeauBronz professionals. With the first intimate group of three, Abi ran through practical demonstrations, background information and briefings on the full BeauBronz range. As someone who is committed to offering a personal and tailored approach not only to her tanning client’s but also to her BeauBronz trainees, Abi carries out all training personally and is on hand to provide guidance and support to each individual trainee. Committed to training the BeauBronz spray tan artists to the highest standard, Abi offers a wealth of knowledge and is happy to share her experiences of tanning Lady Gaga, London’s most prestigious VIPs, celebrities and beauty pageants. If you are thinking of training in airbrush tanning, you won’t find a better experience than the training with BeauBronz where you are provided with hands on experience and continued support even after your training has concluded. The three stage BeauBronz boutique treatment starts with exfoliese which contains aloe vera and fruit acids to eliminate dry skin and moisturise the body before tanning. Aspiring BeauBronz professionals are then trained in the BeauBronz consultation process enabling them to offer a couture tanning service tailored to their client’s skin tones, preferences and personalities! There is literally a BeauBronz shade for everyone with carefully developed pink tones to suit english roses and redheads, and deeper golden tones for those wanting a more latino look. All products in the BeauBronz range are natural, organic and free from parabens, harsh chemicals and alcohol. The final stage in the BeauBronz holistic tanning cycle is the hydrating tan lock which allows clients to walk away from the salon with fully hydrated skin and most importantly with the confidence that their tan will not transfer off onto any clothing or bedding. If you are wanting to offer your client’s a long lasting and natural looking tan that leaves them free of streaks, overspray and orange hues then BeauBronz is the brand for you. BeauBronz is presently offering a Groupon deal where you can be trained in our couture 3D contouring technique for £39. Training is available at either London or Surrey and depending upon group size runs between 10:30am – 4:30pm. With refreshments served upon arrival and a chance to meet and greet your fellow spray tanners, training is provided in a relaxed one to one environment where you have the opportunity to ask questions and learn by experience. In addition to full training, all spray tan artists will receive a full manual and training DVD together with a goodie bag containing £75 worth of BeauBronz retail products and 25% discount on any spray tanning starter kit. Certificates will also be issued upon completion. To book a course click the below link, or call Abi for further information on 0208 788 7770 or 07968 133221. We hope to see you in one of our training sessions soon!